Dubrovnik, 10.07.2014. – The integration of the Western Balkans with the European Union is strategically important to Croatia because Croatia wants a safe and stable neighbourhood, which is why it is important that those countries one day sit at the same table with Croatia in Brussels, Croatian state officials said at the opening of the 9th Croatia Forum in Dubrovnik on Thursday. Croatia Forum, traditionally dedicated to topics related to Southeast Europe and the EU, was opened in the presence of 18 foreign ministers from the EU and countries in the region, other senior EU officials, as well as representatives of the United States, China, Japan, Russia and New Zealand. The event was organised by the Croatian Foreign and European Affairs Ministry. “No one in 2014 should be reminded of the importance of the stability of Southeast Europe… stabilising the region contributes to Europe’s stability,” Foreign and European Affairs Minister Vesna Pusić said while opening the event. President Ivo Josipović said that the topic was strategically important and close to Croatia. “The vision of a united and consolidated Europe should be kept alive because enlargement is much more than a matter of geography,” he added. In his introductory speech, Josipović recalled that Croatia was working on strengthening ties with non-EU partners as well. “Croatia is a member of the EU and NATO, but our look reaches further than that,” he said. Prime Minister Zoran Milanović, too, repeated that it was in Croatia’s interest to have its neighbours in the EU, notably Bosnia and Herzegovina, with which Croatia shared the longest border and had strong historical ties. 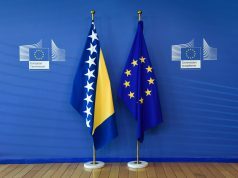 “Bosnia and Herzegovina must find its European path… considering its special situation and problems it has been through, it should be helped and maybe given a separate path to the EU,” Milanović said in reference to proposals that EU membership criteria for Bosnia and Herzegovina should be made less strict. He said that he did not consider demands that Bosnia and Herzegovina change its constitution realistic, adding that of all the countries in the region, Bosnia and Herzegovina “was outside Brussels’ focus the most”. “If we don’t do anything about it, it will stay that way, (Bosnia and Herzegovina) is simply different,” Milanović said, adding that if the country was given the same conditions as had been put before Croatia, he did not believe it would ever conclude membership talks with the EU. Speaking of Albania, which, like Croatia, has been a member of NATO since 2009 and has thus met numerous criteria that are also required for EU membership, he said that despite that fact it was only recently given the status of an EU candidate. 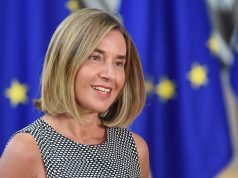 Italian Foreign Minister Federica Mogherini, whose country is currently chairing the EU, said that awarding Albania EU candidate status was an excellent way to end Greece’s six-month presidency of the EU. 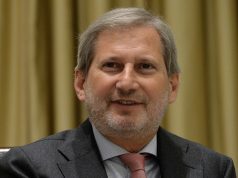 He said the outgoing European Commission was the “best friend of enlargement”, expressing hope that the next EC would not slow down that process. Croatia Forum is being attended by the foreign ministers Igor Lukšić of Montenegro, Ivica Dačić of Serbia, Zlatko Lagumdžija of Bosnia and Herzegovina, Nikola Poposki of Macedonia, Enver Hoxhaj of Kosovo, Miroslav Lajčak of Slovakia and Tibor Navracsics of Hungary, as well as by EU diplomats, including EU Enlargement Commissioner Štefan Füle, the head of the EU Delegation and Special EU Representative in Bosnia and Herzegovina, Peter Sorensen, and High Representative for Bosnia and Herzegovina Valentin Inzko. On Friday, three panel discussions will be organised as part of Croatia Forum: on similarities and differences in the integration of Western Balkan countries with the EU, on the future of EU enlargement, and on challenges to European values. On Saturday, the last day of the event, a round table will be held on the current situation in the process of integration of the Western Balkans with the EU.